The Malaysian government is set to announce it has accepted an offer from a private company to resume the search for missing Malaysia Airlines flight MH370, media reports say. US-based Ocean Infinity, which first made the offer to Malaysia in October 2017, has one of its search vessels, the Seabed Constructor, en route from Durban in South Africa to Perth in Western Australia, in anticipation of the deal being formally accepted. Malaysia is expected to announce it has accepted the “no cure, no fee” offer, which means Ocean Infinity will only get paid if the aircraft is found. Malaysian Transport Minister Liow Tiong Lai has been quoted by ABC News as saying the Malaysian government was committed to continuing the search but did not offer further details about the Ocean Infinity offer other than to confirm it was on a “no cure, no fee” basis. “The basis of the offer from Ocean Infinity is based on ‘no cure, no fee,” Liow said. Malaysia Airlines (MAS) Boeing 777-200ER 9M-MRO disappeared en route from Kuala Lumpur to Beijing on March 8 2014 carrying 239 passengers and crew. 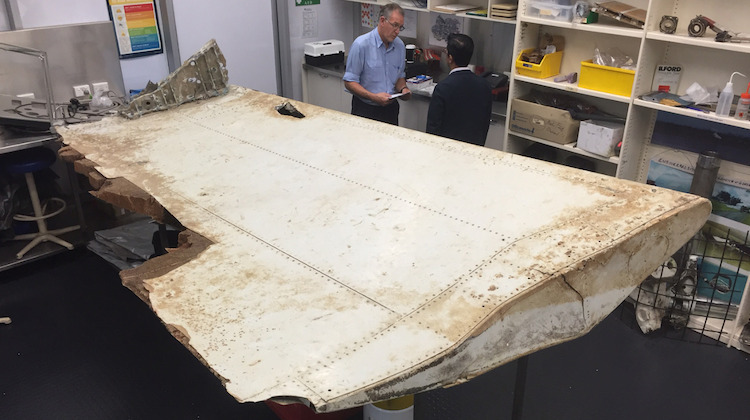 Since then, the Australian Transport Safety Bureau (ATSB) published two reports prepared by Geoscience Australia and the CSIRO analysing satellite imagery taken some two weeks after the flight went missing. The imagery, obtained from French authorities, identified 12 objects that were “probably” manmade, as well 28 items that were “possibly” manmade. The reports, published in August 2017, said the movements of these items during the following three and a bit years due to ocean drift was determined using data from several types of earth-observation satellites, as well as Australia’s most powerful super-computer and more than a decade of government investment in operational ocean modelling. How can a B777-200 on a commercial flight with fare paying passengers vanish in thin air ? On the topic of MH 370, i wonder what ever happened to these guys (Blaine Gibson and Nick Connite)?